I have often stated in previous blogs the importance and value our alumnae bring to the community. They act as role models, they inspire our girls with what they have achieved and they share with them the lessons they have learned from life. 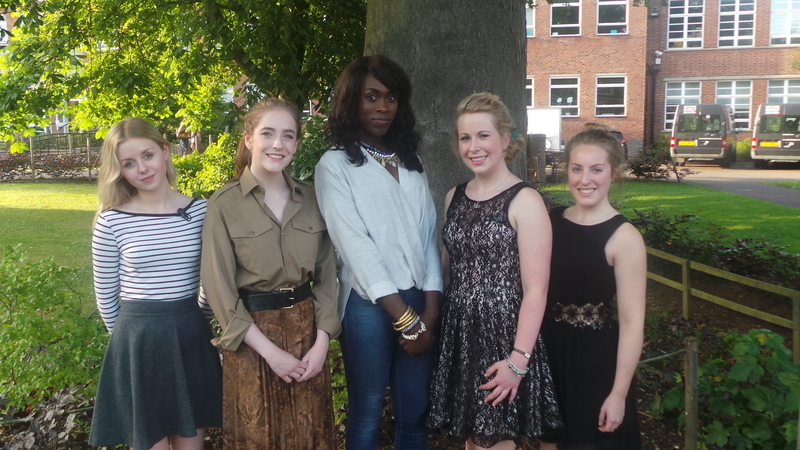 This week was no exception when Gloria Onitiri, known to us as Tola, returned to BGS to present the awards at our Performing Arts Awards Evening. Tola spoke passionately to her audience, sharing her experiences as she moved from lead performer at Dame Alice productions to lead performer in the West End show The Bodyguard. Tola stressed that talent was not enough. In her profession there are thousands of talented actors, singers and performers. Success comes from hard work, tenacity and self-belief. If you wanted it, she said, it was there for the taking, but you had to really want it and work harder than you could imagine. Tola spoke of performing in the West End production of The Lion King when she was 17 and studying for her AS Levels. She would get into school early to study, attend her lessons, take the train up to London to be there by 6.30pm to get ready for the show, to return by midnight, studying on the train in the wee hours of the morning. She did this every day through her Lower and Upper Sixth years. She was a grafter who believed that she would one day be a star, and indeed she is. I was privileged to hear Tola perform twice, at rehearsal and on the evening. She has an astonishing voice full of emotion and sincerity. She was joyful in returning to school; it brought back moments in time – the most poignant being performing on our stage inspired by her teachers sharing music with her friends. Alumnae may be part of a school’s past but they contribute to the school’s future. And as I looked at an audience inspired by Tola as she sang the hit from The Bodyguard, One Moment in Time, I wondered how many girls sitting there would return in years to come to share their moments in time, to inspire the next generation.